Image by Greg Funnell, © All Rights Reserved. RABBI LORD JONATHAN SACKS: I think God is setting us a big challenge, a really big challenge. We are living so close to difference with such powers of destruction that he’s really giving us very little choice. You know, to quote that great line from W.H. Auden, “We must love one another or die.” And that is, I think, where we’re at at the beginning of the 21st century. And since we really can love one another, I have a great deal of hope. MS. KRISTA TIPPETT, HOST: Rabbi Lord Jonathan Sacks is the former Chief Rabbi of Great Britain and one of the world’s deep thinkers on religion in our age. He’s just released a new book, Not in God’s Name: Confronting Religious Violence, already a bestseller in the U.K. In an intimate conversation in 2010 he spoke with me about how Jewish and other religious ideas can inform modern challenges. 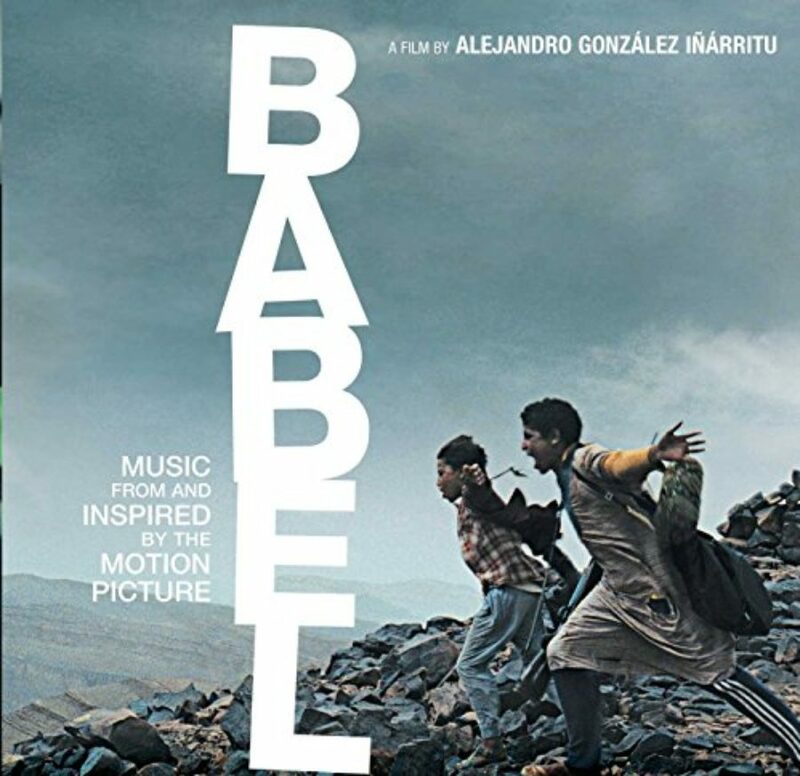 Rabbi Sacks says that the faithful can and must cultivate their own deepest truths — while finding God in the face of the stranger and the religious other. MS. TIPPETT: The Office of the Chief Rabbi was a creation of Victorian-era Britain — intended as a kind of imperial Jewish counterpart to the Archbishop of Canterbury. 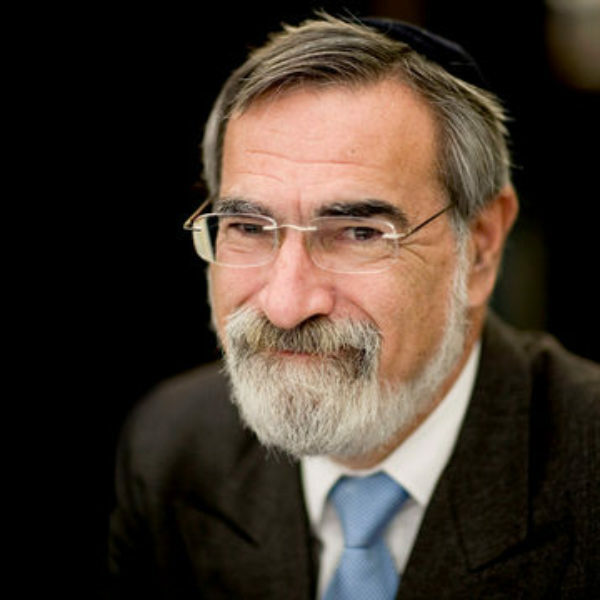 Jonathan Sacks served as Chief Rabbi for 22 years, stepping down from the role in 2013. He now divides his time between King’s College London and New York University and Yeshiva University in the United States. MS. TIPPETT: You know, I start in this place with everyone I interview, whoever they are. If they’re a quantum physicist or a theologian. And I just wanted to hear something about the particular spiritual background of your childhood. Did you have a devout Jewish upbringing? MS. TIPPETT: So did you surprise yourself — did you surprise your family by becoming a rabbi yourself? RABBI SACKS: It was a surprise to all of us. I had absolutely no intention of becoming a rabbi. I went to university to study economics and then philosophy, but in my first year the Six Day War happened. Now, we don’t know — we can’t understand in retrospect quite how tense that was — the buildup to it was. And we, born after the Holocaust, felt — I think all Jews around the world felt — there was a real possibility, God forbid, of a second Holocaust. Then, of course, the war happened with this astonishing speed. And there was a sense of exhilaration. 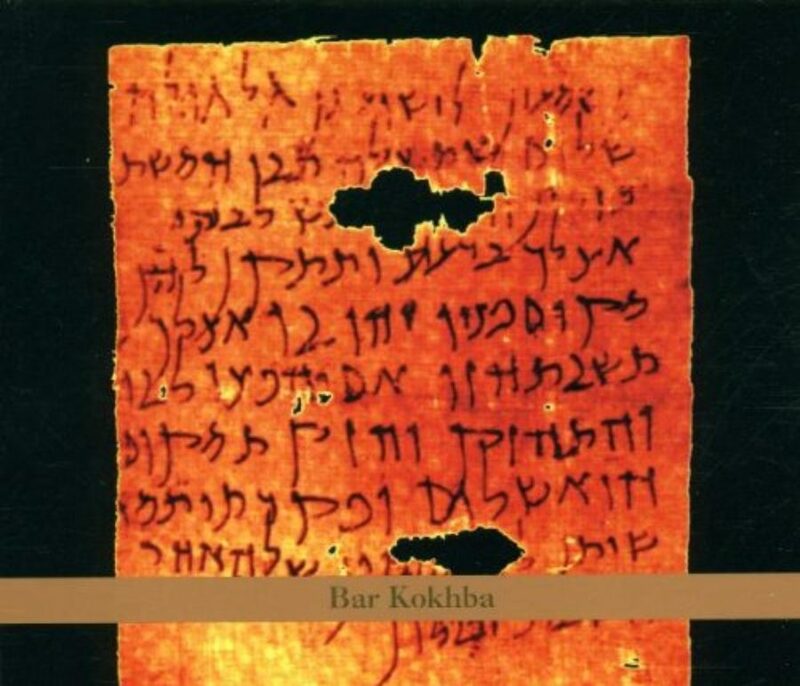 But, you know, I had been really shaken up by this, and I sort of began, very slowly and over the years, to delve more and more deeply into the question of what it was to be a Jew — not intending to be a rabbi, but just to get deeper to the roots of this faith and this 4,000-year-old tradition. MS. TIPPETT: Mm-hmm, and that eventually led you to the vocation. RABBI SACKS: Yeah. I did also meet some quite great rabbis, sadly no longer alive, in particular Rabbi Menachem Mendel Schneerson, the Lubavitcher Rebbe, who was one of the great, great leaders of modern times. And he was the one who actually told me to become a rabbi. And I respected him as a man of global vision, so I did it. MS. TIPPETT: And I wonder if, when you became Chief Rabbi in 1991, if it would have surprised you that, at this point, ten years into the 21st century, even just a few years into the 21st century, religion had risen so utterly to the surface of global life. RABBI SACKS: No, actually. In 1990, the BBC asked me to give the Reith Lectures. They’re given once a year. There are six lectures on radio, first given by Bertrand Russell in 1948. I was only the second religious leader to give them, and I called them “The Persistence of Faith.” It was probably the first response to Francis Fukuyama’s vision of the end of history. You know, the Berlin Wall had fallen, Soviet Union had collapsed, end of Cold War. Everyone was seeing what he foresaw as the, you know, seamless spread of liberal democracy over the world. And I said no, actually. I think you’re going to see faith return and return in a way that will cause some problems because the most powerful faith in the modern world will be the faith most powerfully opposed to the modern world. So that was in 1990, the year before I became Chief Rabbi. Nothing that’s happened since has surprised me, though it has saddened me. Religion is a great power, and anything that powerful can be a force for good or, God forbid, for evil. But it’s certainly fraught and dangerous and needs great wisdom and great — if I can use this word — gentleness. MS. TIPPETT: And so I’d like to draw you out on how Jewish experience and Jewish tradition — you know, what resources and vocabulary that might bring to this global moment, which is not merely uncertain, but certainly marked by change, which is stressful for human beings. One of the ways you’ve talked about that, not uncontroversially, is about the approach you see deep within Jewish tradition to difference. RABBI SACKS: Yeah. It seems to me that one of the things we most fear is the stranger. And at most times in human history, most people have lived among people who are mostly pretty much the same as themselves. Today — certainly in Europe and perhaps even in America — walk down the average main street and you will encounter in ten minutes more anthropological diversity than an 18th-century traveler would have encountered in a lifetime. So you really have this huge problem of diversity. And you then go back and read the Bible and something hits you, which is, we’re very familiar with the two great commands of love: Love God with all your heart, all your soul, and all your might; love your neighbor as yourself. But the one command reiterated more than any other in the mosaic box — 36 times, said the rabbis — is love the stranger. For you were once strangers in the land of Egypt. Or, to put it in a contemporary way, love the stranger because, to him, you’re a stranger. This sense that we are enlarged by the people who are different from us — we are not threatened by them — that needs cultivating, can be cultivated, and would lead us to see the 21st century as full of blessing, not full of fear. MS. TIPPETT: One thing that I’m struck by in conversations I have with scientists — with neuroscientists, with clinical psychologists — first of all, is how science is now able to demonstrate biologically that it is when we are able to see the other, to see the welfare of the other, as somehow linked to our own, that we’re able to rise to these moral ideals. And in that context, do you have an experience of — in your conversations and in your work and presence as Chief Rabbi these years — of a new conversation starting where you can, in fact, offer these virtues to the 21st century in a new way? RABBI SACKS: And here we are reading those instructions afresh through the eyes of quantitative and experimental science and discovering what the great traditions of wisdom were saying three or 4,000 years ago. We now know that it is doing good to others, a network of strong and supportive relationships, and a sense that one’s life is worthwhile, are the three greatest determinants of happiness. And, you know, somehow or other, against our will sometimes, we are being thrust back to these ancient and very noble and beautiful truths. And that we can now do so in a fellowship — awkward, perhaps, and embarrassed — between religious leaders and scientists and social scientists. MS. TIPPETT: Mm-hmm. And different kinds of religious leaders, right, across traditions, as well? RABBI SACKS: Totally. I mean, the thing that really, for me, changed my life, it was standing at ground zero, a couple of months afterwards. In January — well, it was January 2002 — together with the Archbishop of Canterbury and religious leaders throughout the world. And we were looking at this wreckage, this sheer harm that hate can do. And yet, at the same time, here we all were in friendship, fellowship, and shared prayer. And I just saw how clearly that is — those are the terms of the equation. Do we go that way, or we go this? MS. TIPPETT: I’m Krista Tippett and this is On Being. Today with Rabbi Lord Jonathan Sacks, the former Chief Rabbi of Great Britain. He’s best known globally for the ideas he began to articulate in his 2002 book, The Dignity of Difference. MS. TIPPETT: So I’d like to talk about the ideas that you brought forward in The Dignity of Difference, and I think have continued to develop ever since. I remember a very intelligent, excellent American journalist commentator after September 11, 2001. He made a statement that what those events demonstrated was that, in order for the three monotheistic religions, in particular, to survive and be constructive members of society in the 21st century, they would have to relinquish their exclusive truth claims. I think that sounded like it made a lot of sense to many people. The case you make in The Dignity of Difference is also aimed towards the traditions being constructive parts of the 21st century, but you take that in a different direction. So let’s talk about how it is possible, in your imagination, to retain the essence, the truth claims, of Judaism, and also, as you say, honor the dignity of difference, understand oneself to be enlarged rather than threatened by religious others. RABBI SACKS: I use metaphors. You know, each one may be helpful to some and not to others. One way is just to think, for instance, of biodiversity. The extraordinary thing we now know, thanks to Crick and Watson’s discovery of DNA and the decoding of the human and other genomes, is that all life, everything — all the three million species of life and plant life — all have the same source. We all come from a single source. Everything that lives has its genetic code written in the same alphabet. Unity creates diversity. So don’t think of one God, one truth, one way. Think of one God creating this extraordinary number of ways, the 6,800 languages that are actually spoken. Don’t think there’s only one language within which we can speak to God. RABBI SACKS: Yeah. Well, let’s not try to describe this as 21st-century radical theology. It always helps if we can locate it in sacred texts. So for me, here is a moment where the hero of the Book of Exodus is a young man called Moses and the villain of the Book of Exodus is somebody called Pharaoh. But it’s Pharaoh’s daughter who, at great risk to herself, saves the life of this young baby who she knows immediately is a Hebrew baby, that she says so, and she knows her father has decreed that every male Hebrew child shall be killed. So at great risk to herself, she takes this child into her home and brings it up. So now we have the daughter of the biggest villain of the book who is responsible for the saving of the life of the hero. Now if that doesn’t challenge our paradigms, I don’t know what does. You can find God in the other side, and that is something the Bible is doing quite a lot. After all, there’s only one perfect individual — well, perhaps two, if you like — in the whole Bible and neither of them is Jewish. One is called Noah and one is called Job and neither is Jewish. Noah comes before Judaism. Job is what I call every man. Then you look at all the prophets of ancient Israel, and they spent a lifetime preaching to the Israelites, and nobody listened. God sends one prophet, Jonah, to non-Jews, the people in Nineveh, the capital of Israel’s traditional enemy, the Assyrians. Here, all he does is say five Hebrew words, one English sentence: “In 40 days, Nineveh will be destroyed.” And they all repent. So it turns out that non-Jews are better at listening to Jewish prophets than Jews are. RABBI SACKS: What is the point of being a religious leader if you don’t say something that’s difficult for the people who follow you? You know, you’ve got to challenge them and be challenged by them. You have to listen when they say, “Chief Rabbi, you’re going too far or too fast for us to follow.” And then you say, “OK, we’ll slow it down, but I want you to come with me.” I will not allow myself to be a lone voice within Judaism. MS. TIPPETT: Watch my entire conversation with Rabbi Jonathan Sacks on our website, onbeing.org. One on one, he spoke softly — with an intimate tone that requires you to lean in. Then, two days later, I moderated a panel discussion on happiness with him, the Dalai Lama, and others. On stage, Rabbi Sacks was a charming storyteller who captivated a room of 4,000. See for yourself. Watch both videos on our website, onbeing.org. MS. TIPPETT: Coming up, Rabbi Jonathan Sacks on the endurance of rituals; and why building a shack and living in it for a week is actually a perfect religious practice for the 21st century. MS. TIPPETT: I’m Krista Tippett and this is On Being. 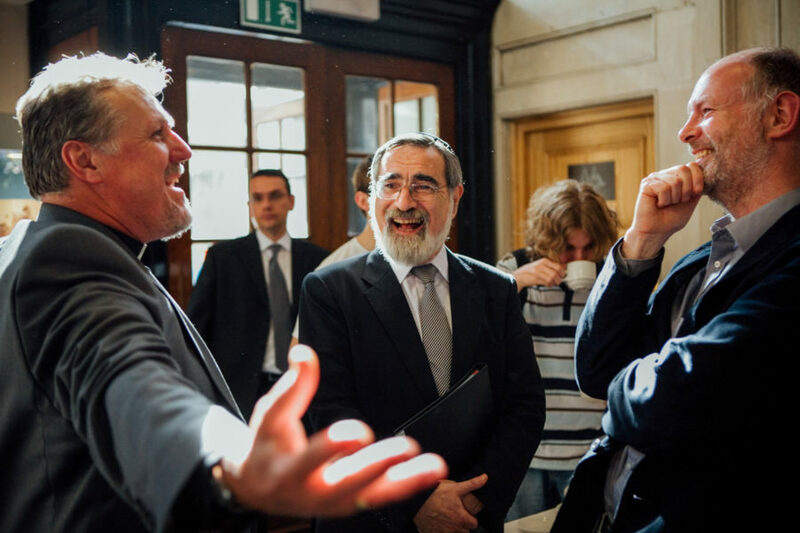 Today, with Rabbi Lord Jonathan Sacks. For 22 years, until 2013, he was the Chief Rabbi of Great Britain. That office was created in imperial Britain as a kind of Jewish analog to the Archbishop of Canterbury. Rabbi Sacks’ tenure spanned the turn of a century, globalization, and the resurgence of religious fundamentalisms. 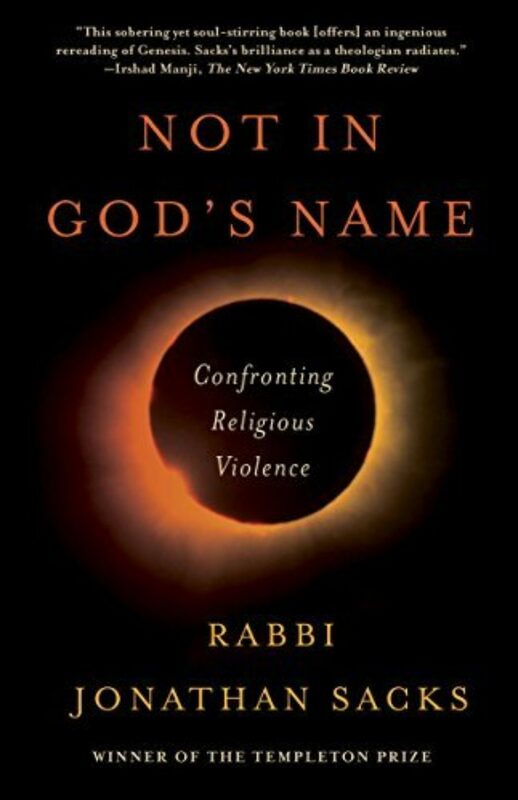 He’s just released a new book, Not in God’s Name: Confronting Religious Violence, which is already a bestseller in the U.K. His 2002 book, The Dignity of Difference, met criticism from some British rabbis — that his ideas about religious pluralism might be heretical. RABBI SACKS: Yeah, of course. RABBI SACKS: That goes because only most intense arguments are in the family. You know that, and you know why it is: because if you have an argument with a stranger, the stranger can walk and therefore they never really get to that level of intensity if you don’t want the stranger to walk. But within the family, you can have the worst possible row with your brother or sister and, tomorrow, and the day after, they’ll still be your brother and sister. So you can have a really bad row without really threatening the relationship. And I assume that the human propensity to have arguments always fills the available space, so you have more space for it with those close to you. And, yes, within the Jewish community, those arguments between Orthodox, Conservative, Reform, or secular Jews have an unusual intensity. So here is the way we resolve these arguments eventually in Anglo-Jewry. I think they will probably work — or they certainly would work for Jews anywhere in the world, if people were minded to. And what I say is this: On all matters that affect us as Jews, regardless of our religious differences, we will work together regardless of our religious differences. On all matters that touch on our religious differences, we will agree to differ, but with respect. So we will work together on interfaith, fighting anti-Semitism, on Israel, on welfare, Holocaust memorial, and so on. We work together across the denominations, and there are certain things on which we recognize that we cannot work together. But it is those areas where we do work together that allow us to build up a real personal friendship. MS. TIPPETT: I mean, you’ve compared the beginning of the 21st century to the beginning of the 17th century in Europe in terms of religion, but I also think this is one of these remarkable moments where it’s not just religious change. It’s change, right? RABBI SACKS: And science challenging religions. MS. TIPPETT: We are redefining institutions, the definition of what it means to be human. So a lot of the most difficult rifts within U.S. religious traditions have to do with moral issues. And you’ve written some very interesting things about that. You’ve said that the 20th century saw the collapse of moral language. So, in fact, even as we are forced to take up these very difficult intimate conversations, I think that’s an interesting observation. We don’t have as rich and complex a vocabulary as we need. Say some more about that. RABBI SACKS: Well, you know, there were always these attempts to find a scientific basis for morality, and they gave rise to all sorts of theories like Kant’s idea that it’s moral if you are willing to prescribe for everyone what you prescribe for yourself. And there were a lot of these quasi-scientific or logical systems. They finally said there can’t really be any moral truth out there or any single moral truth, and that is when we move to moral relativism. Now moral relativism seems to be the most tolerant form of morality — you do what you want to do and I will do what I want to do. However, it actually leads to enormous intolerance because if there is no objective standard of morality, how am I going to show I’m right? And when that happens, it is the loudest, angriest, rudest voice that wins. MS. TIPPETT: And does that come back to this complicated notion of this dance between what is particular and what is universal? You said that the Bible argues that universalism is the first step, not the last step in the growth of moral imagination. But I think you’re also saying that the most vibrant contribution to plurality, to civil society, in fact, is having a vital, strong, particular identity. 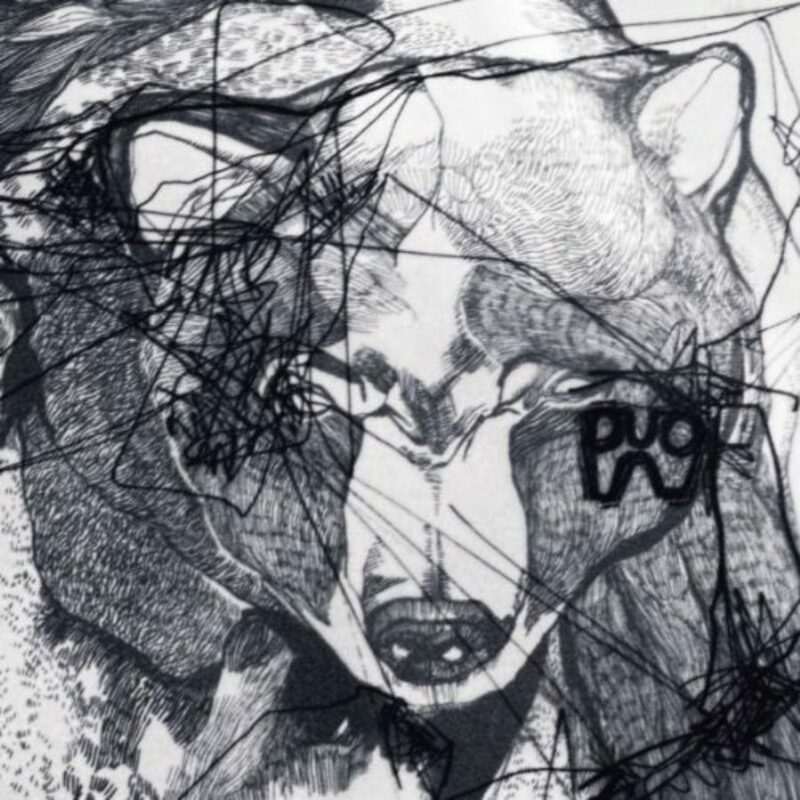 Of course, it depends on how it’s expressed, but that that, in fact, is the best hope for the sake of what is universal. RABBI SACKS: I mean, listen, I can’t say honestly at my extreme age that I am seriously into rap music. 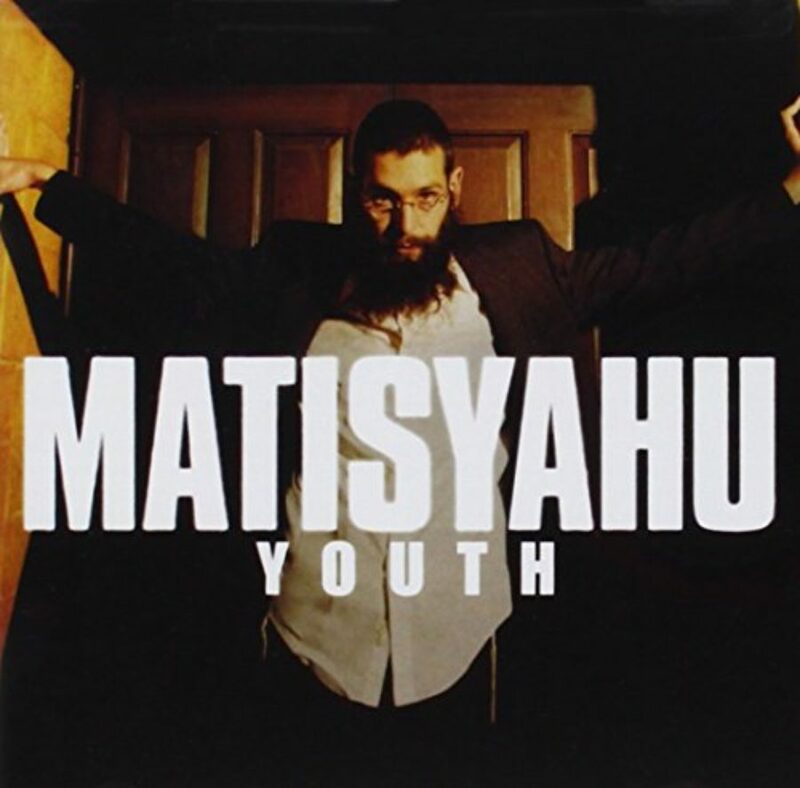 But there’s a Jewish Hassidic rap singer called Matisyahu. You’ve come across him? RABBI SACKS: He is a very orthodox Jew with a big hat and his fringes hanging out, and he’s got millions of young fans, most of whom aren’t Jewish. Now, you can’t get more particularistically Jewish than Matisyahu. He’s so Jewish, and everyone can relate to him, Jewish or non-Jewish, because, you know what? 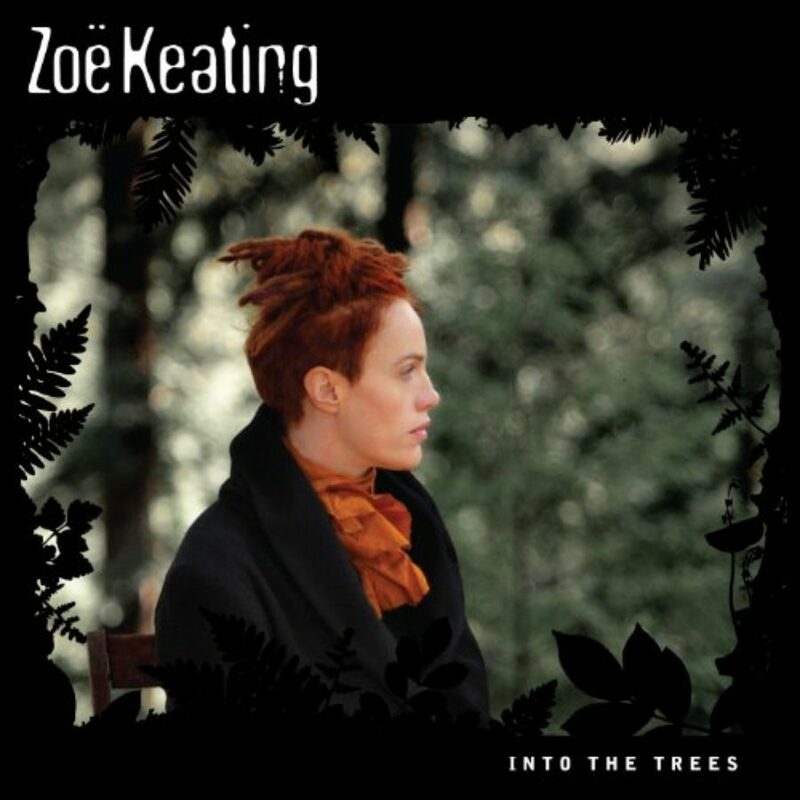 That’s a distinctive voice. And I think that’s, for instance, why people relate to the Dalai Lama. Because he’s different from us. You know, when you really reach the very depth of particularity, that is where all of us can relate to him or her. And that’s the big paradox. MS. TIPPETT: And it’s a gift, it’s a gift. RABBI SACKS: It’s a gift. And I don’t know why it is. But, you know, it’s just — and Isaiah comes along and he delivers his prophecies and they’re so particular to that faith, that place, that time. And yet, I call Isaiah the poet laureate of hope, and at the height of Martin Luther King’s “I Have a Dream” speech, at the very height of it, there he is quoting, verbatim, two lines from Isaiah, Chapter 40, the King James translation. I can’t remember it — I don’t know it so well in English — but, you know, I have a dream that one day every valley will be yada, yada, and every mountain, and all flesh will see it together. I doubt whether Isaiah, 27 centuries ago in the Middle East, could envisage that one day black civil rights activists would be moved by his words. But it’s the particularity of Isaiah that spoke to Martin Luther King. That’s how we are as a people, you know? I don’t know why it is, how it is, but it’s the authentic, the unique, the different that makes us feel enriched when we encounter it. And it’s this bland, plastic, synthetic, universal can’t-tell-one-brand-of-coffee-from-another-brand-of-coffee that makes life flat, uninteresting, and essentially uncreative. MS. TIPPETT: So, I wonder, is this one reason that so much of religious revival tends to happen at the conservative end of the spectrum, at the orthodox end of the spectrum? MS. TIPPETT: Because that’s where these particularities are cultivated? RABBI SACKS: That is where the flame burns at its most intense. MS. TIPPETT: So talk to me about, as an Orthodox Jew, as Chief Rabbi — talk to me about some particularities, some specific virtues, teachings — I mean, you’ve been getting at some of this — that you honor and that are at the heart of our faith, that you think are particularly important and relevant to offering out to our common life in the 21st century. RABBI SACKS: The two very famous Jewish festivals, Passover and Tabernacles, it seems to me people can really relate to those. Passover, where we meet as families. This is a very important service that takes place not in the synagogue, but at home. And we tell the story of how our ancestors were slaves, but we don’t just tell the story. We reenact it. We eat the bread of affliction. We taste the bitter herbs of slavery. We drink four cups of the wine of freedom. And we hand that story on to our children and that is a universal. That speaks to anyone who knows what it is to be a slave, or who needs to know what it feels like to be a slave so that they can be active in fighting the cause of people who are oppressed. RABBI SACKS: It’s had a particular impact on American history, but it also inspired liberation theologians in South America. And, to some extent, Nelson Mandela is echoing the phrase when he calls his autobiography The Long Walk to Freedom. I mean, you know, that’s — and Tabernacles to me is such a festival for the 21st century. MS. TIPPETT: OK, and that won’t be as familiar to many people, so say some more. RABBI SACKS: So that is when we recall the 40-year journey through the wilderness when the Israelites had no homes. They were just essentially like Bedouin. They were living in tents or shacks. So, for seven days, we leave the comfort of home. We build a shack with only leaves for a roof, so we’re exposed to the heat by day and the cold by night, and we just understand for seven days what it is to be homeless. Now how many of us in the West know what it feels like to be homeless? But we need to feel what it’s like to be homeless because there are a billion people on the face of this planet who are pretty near as it gets to being homeless. So, I think those speak with enormous power. And you see why — because they’re not abstract ideas that you can deliver in a lecture and expect everyone to understand. They are as concrete and specific as you get. And I think every religion has specifics like that, rituals, narratives. One interfaith occasion we did years and years and years ago with African bishops, Orthodox rabbis and African bishops — and we did a lot of interfaith theology and we talked about all this stuff we had in common, and it was wonderful and very boring. And I was thinking, let’s break through. So in the end, at the last night, I said let’s just sit ‘round the table and have some food and drink, and we are going to teach you our songs and our stories, and you are going to teach us your songs and your stories. And we went on until three or four in the morning, and I think we could have made world peace then and there. MS. TIPPETT: [laughs] You didn’t tape that, did you? RABBI SACKS: I wish I had. MS. TIPPETT: I do too. RABBI SACKS: It was many years ago. MS. TIPPETT: Because we would put it on the radio. I remember having a conversation with a scholar who’s at the University of Southern California, and we talked about television. There’s kind of a renaissance of intelligent television in the United States right now, and she talked about how this is fulfilling this basic human need we have for stories. But she also talked about the Passover story as an example of this incredibly low-tech story, but that its power — that the proof is in the fact that it has survived and flourished. RABBI SACKS: And it receives a different meaning in every generation. And so do thick rituals. For instance, in the days of Moses, the Sabbath was a way of giving liberty to slaves. But now think of what you and I are slaves to. MS. TIPPETT: Liberty from iPhones. RABBI SACKS: iPhones or Blackberries. I don’t wish to be critical to any particular manufacturer here. RABBI SACKS: For 25 hours, you cannot get an email. Is that not liberty? 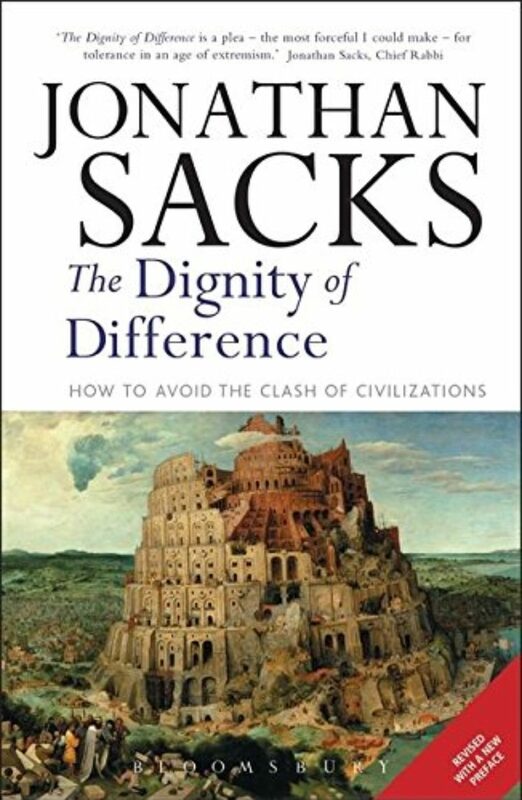 RABBI SACKS: Yeah. It’s just giving you space for the things that are important, but not urgent. So any real religious ritual that is not just an abstract idea will receive new meanings with every passing age. MS. TIPPETT: I’m Krista Tippett and this is On Being. Today, with Rabbi Lord Jonathan Sacks. MS. TIPPETT: You’ve made a statement. I think it’s audacious: “The greatest single antidote to violence is conversation, speaking our fears, listening to the fears of others, and in that sharing of vulnerabilities, discovering a genesis of hope.” Now as someone who conducts conversation for a living, I love that statement. I wonder how you know that to be true — that the antidote to violence is conversation. RABBI SACKS: …and have become peace activists just because they saw how much of a dead end they were getting themselves into. I just see so much effort at peacemaking taking place at the very elite levels where egos can be rather larger than they need be, and nobody really is willing to lose for the sake of long-term winning for both of us. Sometimes I think, what would happen if we generated real conversations at the grassroots level between the people whose lives are really affected? One of the most powerful groups for peace in the Middle East is a group of Israeli parents and Palestinian parents who’ve lost children. MS. TIPPETT: Right. Yeah, we’ve had a show about them, the Bereaved Families Forum. Right, so that’s that level of civil society where there’s a different conversation taking place that is transformative. It doesn’t yet transform that elite level. RABBI SACKS: We have not yet found a way of meshing the political society with the civil society, and that’s a big challenge. It’s doable, but you are bringing two very different cultures together, one that is used to solving problems through power, and one that knows that power is the worst possible thing you can bring to bear. So how you bring those two cultures together, I don’t know, but you will have to in the long run if you want to make peace. MS. TIPPETT: Right. It’s not going to remain optional. I mean, there are all kinds of examples we can think of. It’s true in American political life. This brought to mind a really striking exchange I was present at. Bill Clinton — President Clinton had something called the Clinton Global Initiative. He had convened a gathering there. Shimon Peres was present, Ehud Barak was present, I believe. He wasn’t on the panel. Abbas is prime minister. And the crown prince of Bahrain. But Shimon Peres said something — he’s in his 80s now — that was so striking to me. The premise of this conversation was, a peace agreement has been reached; what happens the day after? But Shimon Peres — who apparently spends a lot of time with his grandchildren asking them to tell him how they see the world — said, “If we can reach this agreement, the young people are already connected. The younger they are, the more connected they are.” I mean, that is also, ultimately — I mean, the tool for that is technology, but it is about conversation, right? RABBI SACKS: It is about conversation and I think he was absolutely right. The real conflicts arise when our minds are focused on the past. We bring to bear a sense of grievance, injustice, victimhood, and we are then held captive by the past. If we could get Israelis and Palestinians to think simply of what would be best for their grandchildren, we would move into a new frame of thinking. MS. TIPPETT: And yet I think what’s so powerful about the Bereaved Families Forum is that you don’t get to that vision for the future without — without putting that grief on the table. And it is that power of listening and of speaking one’s truth and of one’s experience being known. RABBI SACKS: That grief has to be heard. It has to be heard by the other side. One of the most powerful rituals, astonishingly powerful, is in the Passover service when we read the Ten Plagues, and it’s our custom. MS. TIPPETT: The Ten Plagues? MS. TIPPETT: That’s a hard story for modern people. RABBI SACKS: …blood, frogs, et cetera, and with each one, we shed, we spill, a drop of wine. We shed a tear. RABBI SACKS: We shed a tear because, for a moment, we allow ourselves to think of the victims of our victories, the pain of the other side, who were enslaving us, but they were still human and they were still suffering. It’s when you can feel your opponent’s pain that you’re beginning the path that leads to reconciliation. MS. TIPPETT: I think that this institution, this office that you hold, the Chief Rabbi, is probably a new idea to many Americans. It’s an unusual institution which started, as I understand it, in 19th-century Victorian Britain. How has this experience, and how have other experiences in this office, how have they changed you and your theology? RABBI SACKS: I suddenly realized that there are, in real public office, moments of stress that are so great that they kind of strip away all the surfaces and you get to bedrock of character. And then you suddenly realize that it’s not about you and it’s not about popularity. It’s about them, and it’s about God, and it’s about — your job is just to make it safe for people to experiment, to love, to forgive, to pray, to give. I think that’s something you have to go through a lot of battering to achieve. 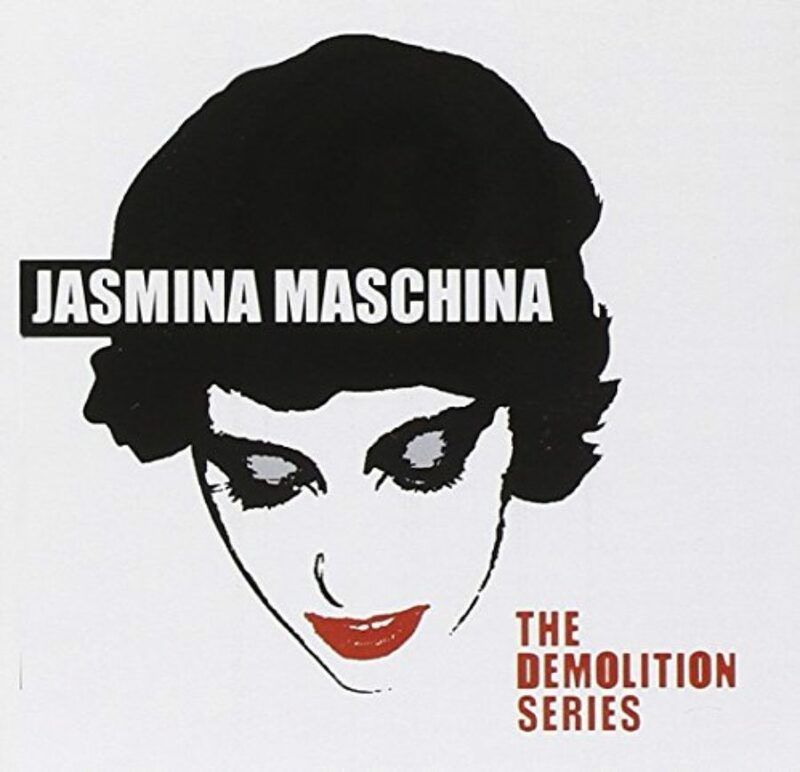 You know, no pain, no gain, I think is a Jewish sentiment just as it is a Christian one. And I think you go through those years of challenge and trial and then you realize that the highest form of leadership is empowering others to lead. 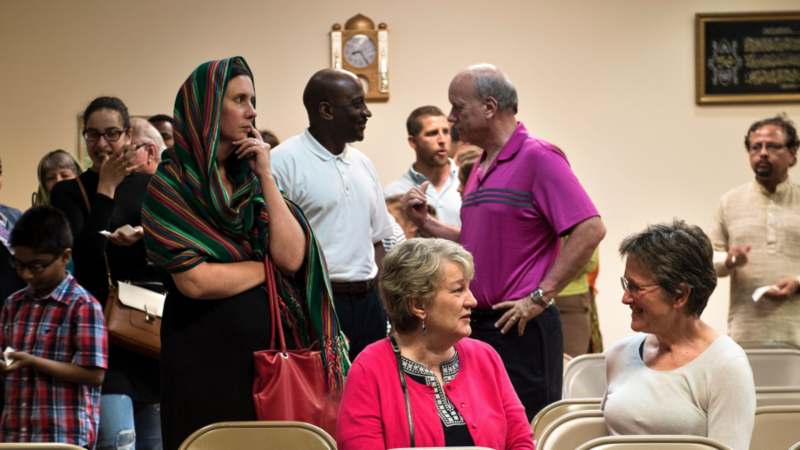 MS. TIPPETT: There’s a line of yours — I don’t know if it’s true to say that it’s a famous line, but it feels kind of famous to me and it might also please you, I think, that I first heard it quoted by a young Muslim interfaith leader. That when you compared the beginning of the 21st century in terms of religious dynamics to Europe at the beginning of the 17th century — and this was in The Dignity of Difference — and you said, “But religion is not what the enlightenment thought it would become — mute, marginal, and mild. It is fire and, like fire, it warms, but it also burns and we are the guardians of the flame.” I think you’ve just described to me part of your function as a guardian of the flame. But I wonder also, in closing, if you would talk to me about what you see when you look at the world in terms of seeds of a deeper moral and spiritual imagination emanating from your tradition and other traditions. Where are you finding hope? RABBI SACKS: I think God is setting us a big challenge, a really big challenge. We are living so close to difference with such powers of destruction that he’s really giving us very little choice. You know, to quote that great line from W.H. Auden, “We must love one another or die.” And that is, I think, where we’re at at the beginning of the 21st century. And since we really can love one another, I have a great deal of hope. You know, here it is, a glorious world where we have mastered all the mysteries or as many — more than we ever thought we would of nature, but we have not yet conquered the mystery within ourselves. And that is the challenge God is setting us, and I believe that you can begin to see religious leaders coming together in a way they never did before with an openness to one another they never had before, and somehow or other, the bigger the challenge, the greater we grow. So I am full of hope as we face the greatest challenge humanity ever has. MS. TIPPETT: Well, Rabbi Sacks, thank you so much for sitting down with me. MS. TIPPETT: Rabbi Lord Jonathan Sacks retired as Chief Rabbi of the United Hebrew Congregations of the British Commonwealth after 22 years in 2013. He is now the Ingeborg and Ira Rennert Global Distinguished Professor of Judaic Thought at New York University, and the Kressel and Ephrat Family University Professor of Jewish Thought at Yeshiva University. He is also Professor of Law, Ethics, and the Bible at King’s College London. 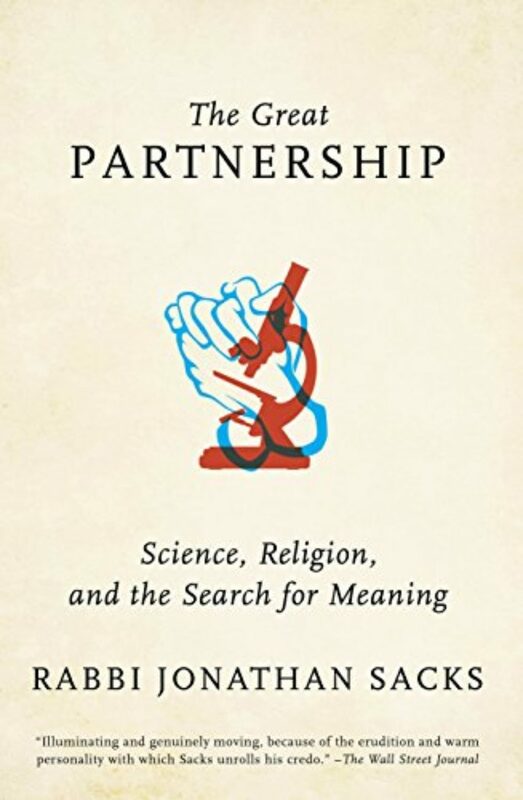 His books include The Great Partnership: Science, Religion, and the Search for Meaning, The Dignity of Difference, and his latest, Not in God’s Name: Confronting Religious Violence. On another note close to home, we are watching the phenomenon of public violence involving guns and wondering how On Being as a media project might additively contribute to public reflection on the complex array of human issues involved. We want to take this up with our Civil Conversations Project in the year ahead. And we wonder who you’re reading, listening to — where you’re finding insight and guidance. Reach out to us at facebook.com/onbeing and on Twitter, @beingtweets. Special thanks this week to April Bogle and the Center for the Study of Law and Religion at Emory University where I interviewed Rabbi Sacks.